Ice is here to stay. Winter is early. Here is a photo of BV Falls take 12-10-06.. Ingram Falls in connected, but still has a way to go to be considered before it can be considered “full” conditions. If your looking for a challenge Ingram may be for you! Bear Creek ice is in good condition. 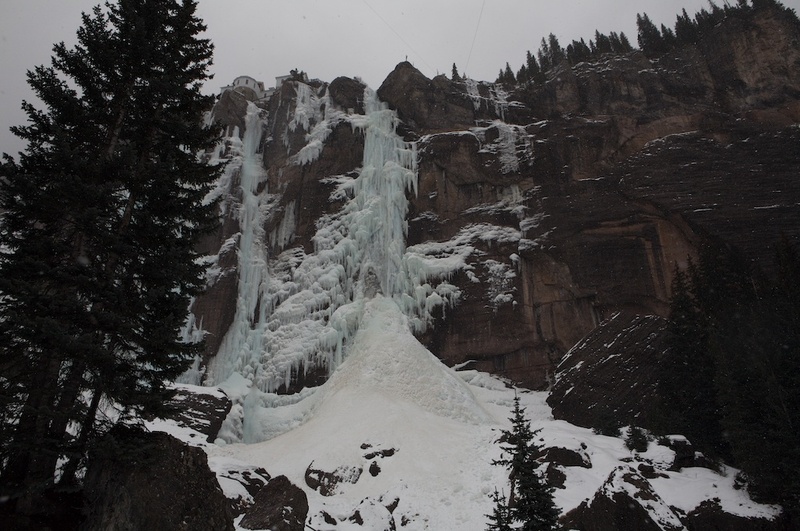 Ames Falls is in also—slabs on the left and the main falls are climbable. Silver Pick Falls is in but thin (I have not been to the base yet this year, I have seen it from the road). It is snowing hard right now (8:00am 12-11-06). The Telluride Ski Area has accumulated well over 12 inches thus far (last 24 hrs) and there is no sign of it letting up. Climb safe!